APHA Annual Meeting Blog: Cool genes. Where’d you get ‘em? Genomics. The word itself invokes a bit of confusion (even in this seasoned public health writer). It has an aura of complexity and intricacy that often relegates it to the pages of scientific journals and university laboratories. But public health, as it has done throughout its history, is beginning to use the language of community outreach and health promotion to bring the field of genetic research to the masses. In its very first Annual Meeting session, “Education, Environment and Genes: Genomics in Health Promotion and Disease Prevention,” APHA’s new Genomics Forum welcomed a variety of presenters working on the forefront of the intersections between genetic research and public health. The overarching questions seemed to be: How can genetic research and knowledge be used to beef up public health prevention techniques, and how do public health educators bring the power of genetic knowledge to the communities they serve? Not easy tasks, but thankfully the roads toward such beneficial intersections are being carefully paved. Presenter Lei-Shih Chen discussed collaborations between genetic counselors and public health educators, referring to a call from the Centers for Disease Control and Prevention that such public health workers begin to integrate genomics into their work. Chen also mentioned the many similarities between public health educators and genetic counselors, stressing the need for better cooperation between the two professions. 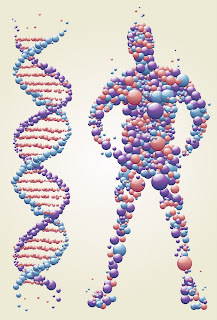 In fact, some schools have already taken this step into the DNA dimension: Sarah Lawrence College in Bronxville, N.Y., now offers a Public Health Genetics/Genomics Certificate Program. Hailing from Sarah Lawrence College, session presenter Linwood Lewis took us to the storytelling side of genetic history — how our family stories and histories influence our perceptions of inheritability. Linwood noted that while genetic counseling has typically been available to the more privileged, its accessibility is broadening. Still, more than 90 percent of genetic counselors are white women, which can complicate issues tied to trust and cultural competency. How to begin overcoming such barriers? Make sure the patient’s voice isn’t lost in the narrative moment, Linwood said, and work to ensure the conversation is a mutual one. It’s not a case study, he urged, it’s a case story. For more on the new Genomics Forum and their activities in the coming days, visit their Web site. Genetics & public health coming together scare me. I think of genetics as studying how people are different; public health is a form of social justice -- good health for all. I hope that these are mixed wisely!